A new class of combine harvesters with simplicity, robustness, efficiency and versatility. 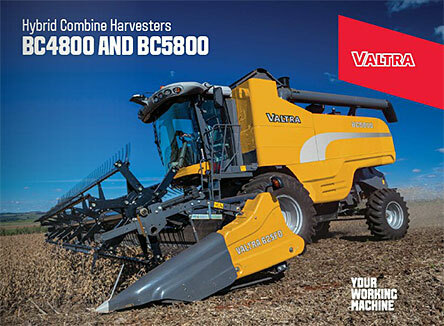 Available in rice, grain and multicrop versions, the new Valtra hybrid combine harvesters present unique features, offering you convenience, robustness and efficiency. One of the highlights of this machine is the comfort of the cabin, so that the days of the harvest yield even more. The lox operating cost is also an important feature, since all components and assemblies are designed and selected for maximum performance and durability. With high technology, Valtra combine harvesters are built with the use of robots and painted using the nanotechnology system. Regarding the functional characteristics, they are practical, proving that simplicity at work helps you get the best results in the field. The decades of global experience of Valtra in the design and production of equipment for harvesting ensure that this machine is able to work on different types of terrain and crops. This feature makes the BC4800 and BC5800 a different machine for the African market. Used in the most efficient and modern equipment in Europe, this system was developed by Valtra to meet the strong needs of the harvest. With its high performance and low fuel consumption, it clearly has the best L/ton ratio on the market. Due to the hybrid processing system, the BC4800 and BC5800 is one of the combine harvesters that works with lower levels of losses in the market, even facing difficult harvest conditions such as high humidity. Valtra Combine Harvesters, being hybrid and developed especially for the grain harvest, has another great advantage: it is able to work a higher number of hours than any other machine on the market. This means increased productivity with one notable difference at the end of the season. 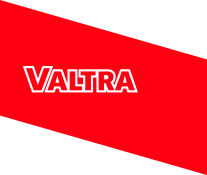 Valtra was the first to develop this feature. In the hybrid combine harvesters, the cylinder is specially equipped with steel bars which support the restbar from impact during harvesting and provide high peripheral inertia. It is not one feature or another that makes the BC4800 and BC5800 combine harvesters the most desired on the market, but the combination of them all. The 117° angle is responsible for the most important tasks in the process: the track and the initial separation. With this wrapping angle, the result is a large quantity and excellent quality of threshed grains. A combine harvester must not only harvest, but also discharge quickly to allow its energy to be available for processing grain. The grain tank is safely and quickly emptied at a ratio of 86 L/sec. It takes less than 64 seconds for the BC4800 and less than 82 seconds for the BC5800. It is the hybrid processing that enables this high speed in grain harvest. Thus, at the end of the season, the BC4800 and BC5800 provide greater productivity. Using a well-defi ned step-by-step process, the sieve does not overload and the tank only receives clean and qualifi ed material during the grain cleaning process. This is another unique feature of the Valtra combine harvesters. To support the high stresses resulting from large volumes being processed, the BC4800 and BC5800 are one of the only machines on the market with pulley’s axels supported on both sides, providing a rigid structure with a longer bearing and belt-life. All these unique features are assembled under a strong set of “U” shaped profiles, resulting in greater security and higher durability when compared to conventional classes IV and V combine harvesters. 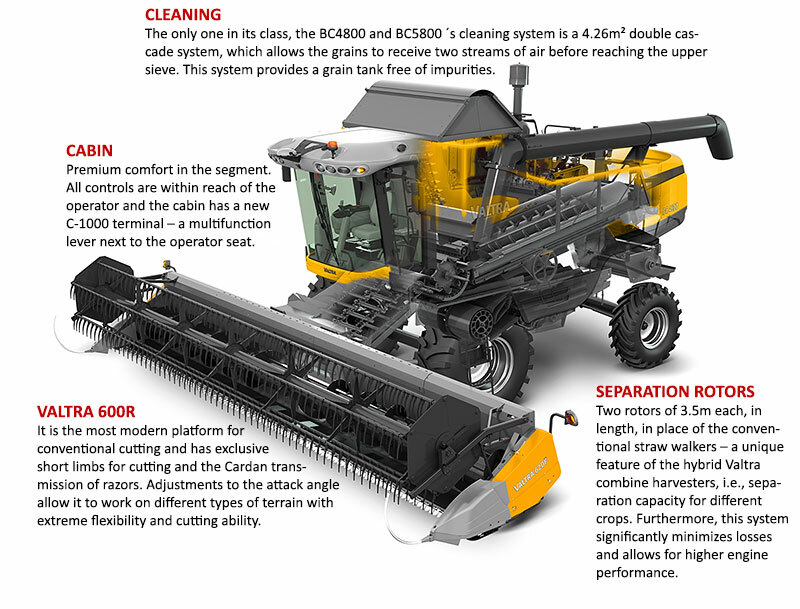 The BC4800 and BC5800 combine harvesters were developed to provide the most comfort for daily use. In order to do this, it can be equipped with autopilot Auto-Guide 3000, the AgCcommand telemetry system and the Fieldstar system for precision agriculture. Besides the use of the hybrid system for harvesting greater quantities of straw, stainless componentshelp increase durability, with less deterioration of the components, providing higher robustness, fewer stops for maintenance and more reliability.